Lazarus Cain is a member of the Grim Shadows, one of the Thieves Guilds in the city of Eberia. Unfortunately, Lazarus is having a bad day. Waking up in a torture chamber, suffering from amnesia, he'd be pretty much screwed if not for the mysterious, magical sigil burned into his chest. Lazarus will need to use all his cunning and skill to work with his comrades, uncovering schemes within schemes, discovering that the Grim Shadows are not the only Thieves Guild in the city mired in conflict. What's more, the leaders of the other guilds, the Thief Lords, don't respond well to treachery. 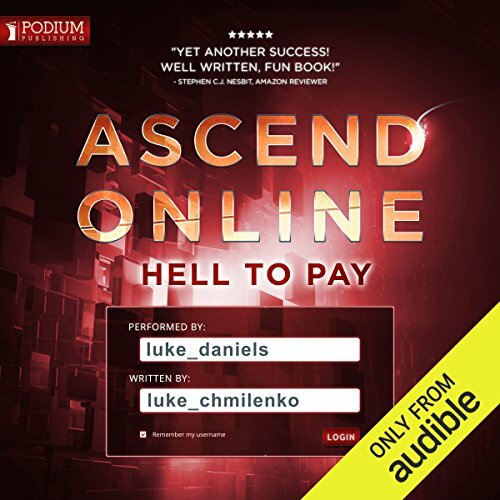 Would you listen to Hell to Pay again? Why? Only a couple of hours in to this book and it seems to be on par quality wise with the first Ascend Online. Just a notice that this is NOT a continuation of the first book, but a story regarding a different character entirely. Only reason I am writing this is I was quick to order this book and expecting it to continue where the first left off. Slight disappointed as I was expecting something different, but the story so far is strong and I have been enjoying the listen. If you enjoyed the first book, go ahead and purchase this one, just know this is a different story arc. I was a huge fan of the first book in this series. 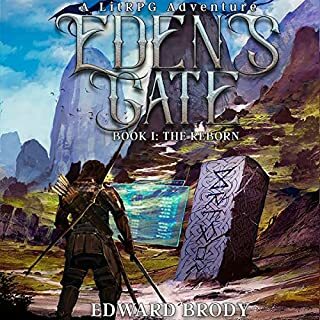 It was engaging, smart, quick paced, and believable- at least as much as a LitRPG can be. This installment (same world, totally new characters) was much, much weaker. Stilted dialogue, forced plotlines, and ridiculous situations abounded. Yes, even for a LitRPG world. 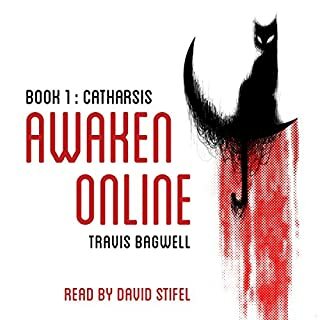 That being said, I still finished the book.There was something compelling enough in the story to get me to the end, so it wasn't completely irredeemable. Looking forward to book 3 and the return to Book 1's characters. Hopefully this downhill slide was because of trying to force out a story after the success of book 1, not a harbinger of series collapse. 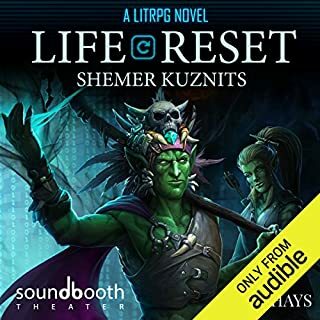 First get the real Book 2 (Legacy of the Fallen), and listen through to the start of Chapter 12. That's when Lazarus Cain is introduced. He's the star of this book (Book 1.5). But by then you'll have caught up with what's going on in the Village, and it won't be annoying to get his back story. But the damn writing. Most of the time it's fine and then we get to these stupid standoffs where protagonist goes into dumb conversations with enemies and just acts like a moron and I'm lost. Author doesn't seem to be aware of his characters stupidity either which is troubling. Over the top performance and storyline that is completely disjoint from the first book makes for a disappointing experience. 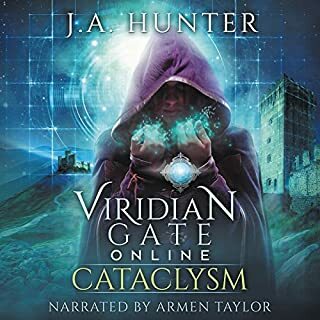 This book is absolutely as epic as book 1 was and makes me eager to listen to book 2: legacy of the fallen will be better than perfect im sure. The narration was good, with all the characters easily identifiable by voice and tone. I really enjoyed the first book in the series, and this poor performance will not stop me from seeking it out again the future. Nothing happens in this story, the main protagonist has very little to do with the events going on, none of the Mysteries in this story are addressed by the end. the first book in the series was an adventure in World building, with the main character learning about the World As We Do. this book does almost no world-building and we learn almost nothing that was not covered in the first book better. things I want the book to address but the author did not, what's going on in the real world with the games growing popularity, what was the first week of the launch like with a hundred thousand players in a town not able to support them, this was described as hellish in the first book and is not addressed in this book. most importantly the author fails to address the major theme of the story in the series, whether or not this game is real or not. overall a poor performance. I haven't tried the third book yet, but I get the feeling that you could probably skip this book and not miss anything. 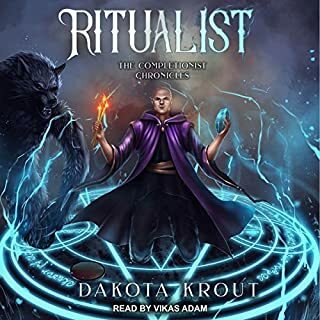 The first book in the series was fine, but by the end had started to shift away from LitRPG into being a straight-forward fantasy novel. That's fine I guess, but not what I signed on for. This second book shifts characters, which is also fine, but then seems to forget that they're playing a game. That this is a game they're playing should be (in my humble opinion) central to the story, not an afterthought. As another note, Luke Daniels is one of my favourite narrators and throughout this book he just sounded bored, which I can't fault him for. I won't be back for any more in the series. 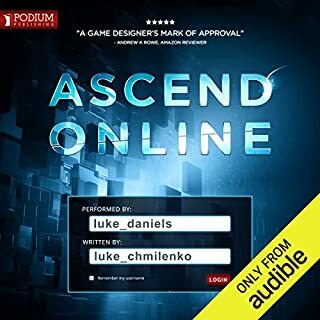 set a couple of weeks after release of ascend online this book provides a different view on the world established in the first book. I was only disappointed that the book was not as long as the first and it left me hungey for more! Beautiful story,nice plot and i love the main characters . I was hesitant to begin this book as it wasn't a true continuance of the Ascend Online story. Bit I was blown away by the story found within. The over all world building adds to the Main story line and gives us a peak into a darker side of then universe. Hope to see more of this story. Luke’s performance is great as always but this book is a bit of a let down - it’s the same story as the first with a few cosmetic changes. Not bad for a casual listen but missing the sense of wonder that made the first one so good. Another grate story with more of this amazing universe explained and yet still more left to explore. The naration is of good quality and easy to listen to. It was ok I guess. Narrator was the saving grace. The story wasn’t terrible but wasn’t great either. I am absolutely loving this series, if you want a great adventure pick this one. The book dosent really do much that the first book didn't already do other than provide perspective on the city and introduce primordial energy. Things like setting up daenerys or whatever as the capitals baddie or the land across the sea had an emperor that wanted to become a god; explaining resources are expensive because of competing guilds and are fluctuated because of the influx of adventures are arguably done better in the first book, I'd prefer the second book to be released instead. It's a rehash of the first book with a detective/amnesia take , relabeled as an expanded universe. Narrator was perfect for the format of the book and story telling, with a vast array of unique voices made each character come alive. Please hurry and release book 2.0, I'm not sure what to do with my life after book 1 and 1.5!! I love the emerging litrpg genre, and the world and mechanics in the ascend online series in particular. Also Luke Daniels is a great narrator. Bring out the next book in the series please, and keep them coming!